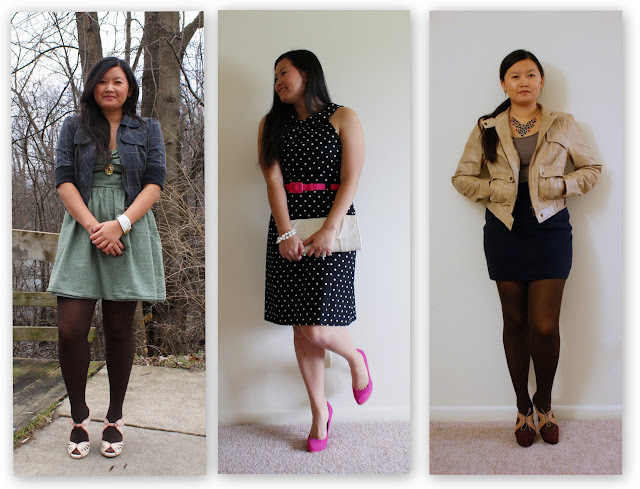 It was unseasonably warm again for December so I brought out a cotton summer dress. You can tell it was really stashed away in my closet because the hem is a bit wrinkly. This Saturday's them was spots and/or stripes. I went with a polka dotted dress for dinner out. I finally got to wear my fuschia Ashley pumps! All I did Sunday was run errands and study for more finals so I went with a neutral colored outfit. I cheated again with a skirt. I decided I can only cheat with a skirt a total of 5 times, this is #3. I took this photos quickly so I apologize for looking so serious in them! 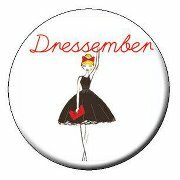 Check out how the other Dressemberist are dressing up here and my other Dressember outfits here. I'm still working on getting days 11-15 up so keep an eye out!